Said no tabloid journalist with any sincerity, ever. I can't recall ever having seen a bank without a name. At least he doesn't have piles of cash in the window. 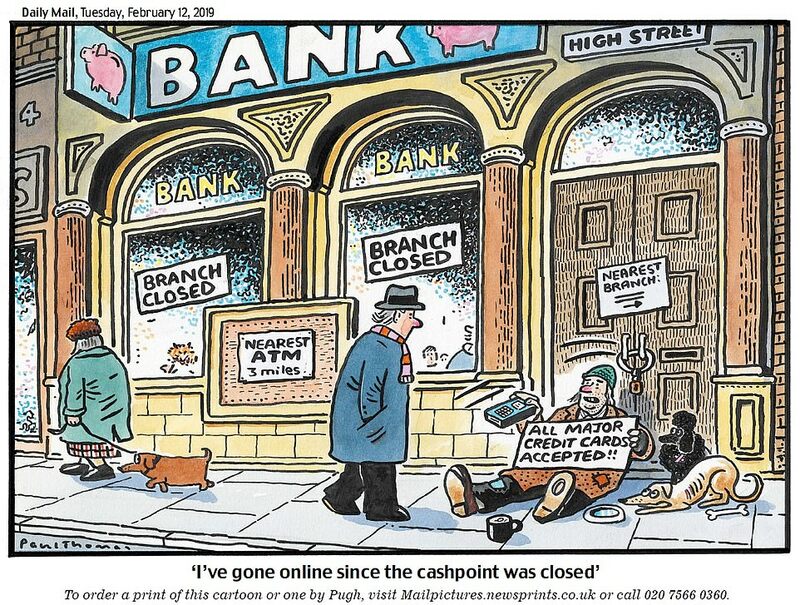 Why are there people, and a fox of course, inside the closed and padlocked bank? Why would people need glasses in heaven? A missed opportunity, a former Leicester City player but he goes Three Lions rather than Foxes. Cannae see him. But the the Gay Barber is down the front. Is that Chris Kamara reading the programme, live feed to Jeff in the studio? There might be a problem at the Supreme Beings Sunday Football league. Who will play in goal for the Judeo-Christian Wanderers? 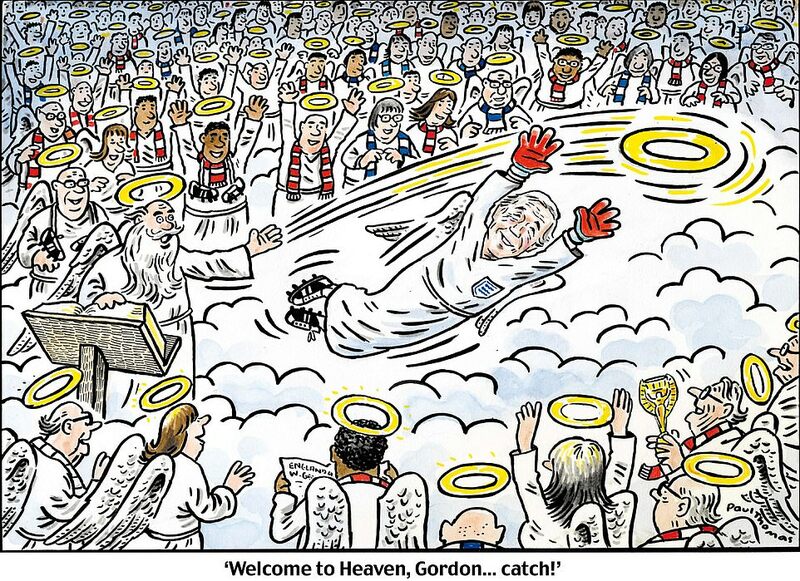 Jesus 'Saves' Christ has always been the first choice, will he happily hang up his gloves for Gordon? They're up against Valhalla's Hammers next Sunday, tough game. Hopefully Gordon will get a run out. Matches against Valhalla need a little excitement, they can be very Loki affairs at times.